exhibition opening at Perth Institute for Contemporary Arts, 2016. 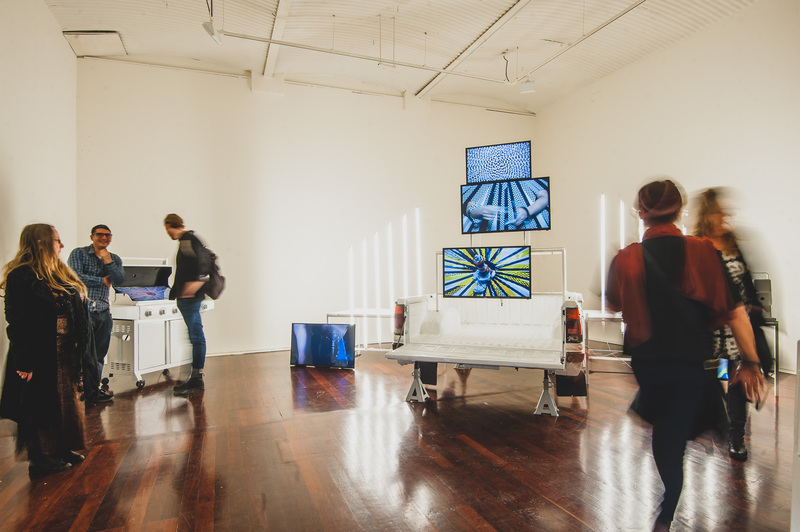 Image courtesy Perth Institute for Contemporary Arts and the artist. Photography by Ok Media. Johan Lundh, IMA Brisbane; Michelle Newton, Artspace; Justene Williams; Rachel Arndt, M&G NSW; Madeleine Brady, M&G NSW; Andrew Varano, PICA. 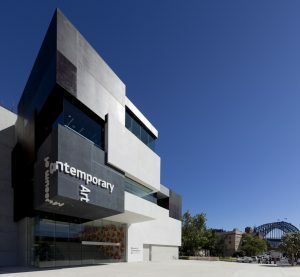 The National: New Australian Art will see Carriageworks, Museum of Contemporary Art Australia and the Art Gallery of NSW come together to create a biennial event showcasing the best of Australian contemporary art. 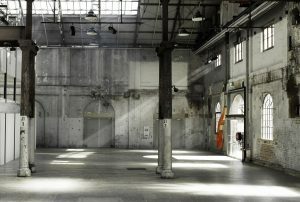 The three powerhouse institutions have signed up for three iterations of the exhibition over three years – in 2017, 2019 and 2021. This joint undertaking will take advantage of all three exhibition sites and a curatorial team spanning the three institutions. 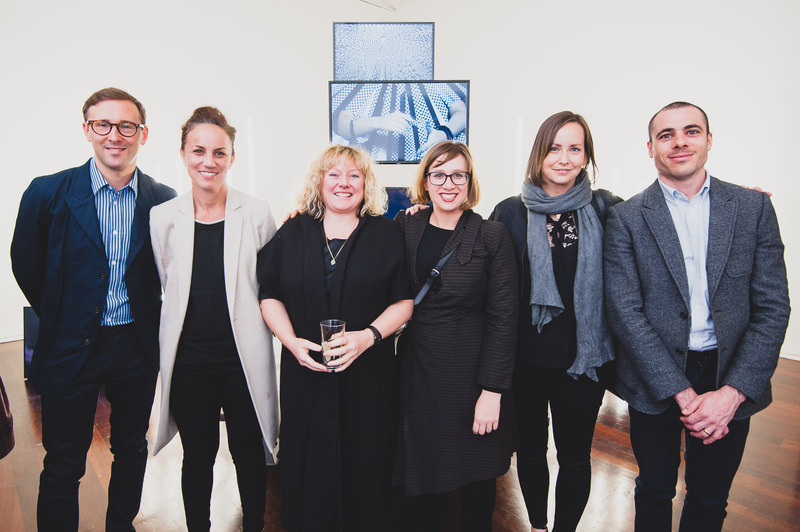 Leading the cross-institutional curatorial team for the 2017 iteration is Anneke Jaspers and Wayne Tunnicliffe, Art Gallery of NSW; Lisa Havilah and Nina Miall, Carriageworks; and Blair French, MCA. Demonstrating the diversity of contemporary practice in Australia today, The National will allow the organisations to engage, share and grow audiences. While this model of collaboration and exchange is commendable, it is certainly not new, as we see more and more institutions coming together to create enriched outcomes for their audiences. Recent collaboration successes in NSW include the reopening of the Museums Discovery Centre, bringing together the collections of the Museum of Applied Arts and Sciences, Australian Museum and Sydney Living Museums; the blockbuster exhibition Destination Sydney developed by Mosman Art Gallery, Manly Art Gallery & Museum and S.H Ervin Gallery; and Albury LibraryMuseum’s Identity project which saw the museum working with five regional museums in their area. The initial selection of nine artists for the inaugural exhibition of The National was released last week and includes Archie Moore, Justene Williams, Richard Lewer, Ronnie van Hout and Karen Mills. The announcement of Justene Williams’ inclusion in The National, sees her build on recent successes including the 20th Biennale of Sydney and Performa 15, New York, as well as the M&G NSW national tour of the solo exhibition Justene Williams: The Curtain Breathed Deeply. 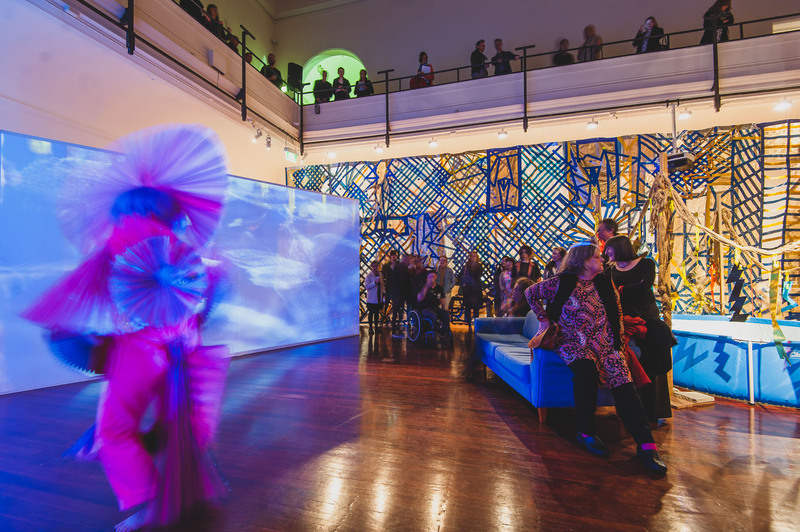 The Curtain Breathed Deeply is an immersive collection of video and sculptural work, initially developed by Artspace and touring in partnership with M&G NSW. The show is currently on show at Perth Institute of Contemporary Arts until the end of October and will then continue its national tour to Bunbury Regional Art Gallery, WA; Northern Centre for Contemporary Art, NT; Goulburn Regional Art Gallery, NSW; Griffith Regional Art Gallery, NSW; Ipswich Art Gallery, QLD; Tamworth Regional Gallery, NSW; Lismore Regional Gallery, NSW and Penrith Regional Gallery & The Lewers Bequest, NSW. This exhibition is Williams’s largest and most ambitious solo undertaking to date and uses found objects and waste materials to create dazzling theatrical environments, seducing visitors through a variety of hypnotizing sets and ‘performative’ video installations. The Curtain Breathed Deeply also represents another successful collaboration between M&G NSW and Artspace, with other collaborative projects including Montages: The Full Cut 1999–2015 Tracey Moffatt & Gary Hillberg, Angelica Mesiti: Final Call and Richard Bell: Imagining Victory. The National: New Australian Art opens 30 March 2017 at the Art Gallery of New South Wales, Carriageworks and the Museum of Contemporary Art Australia. 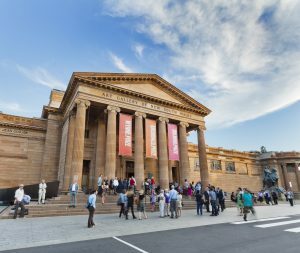 The Curtain Breathed Deeply was curated and developed by Artspace and is touring nationally in partnership with Museums & Galleries of NSW. The generous bequest of the Catalyst: Katherine Hannay Visual Arts Commission has enabled Artspace to support Justene Williams in the development of this major new work at a pivotal moment in her career. This project has been assisted by the Australian Government through the Australia Council for the Arts, its arts funding and advisory body.